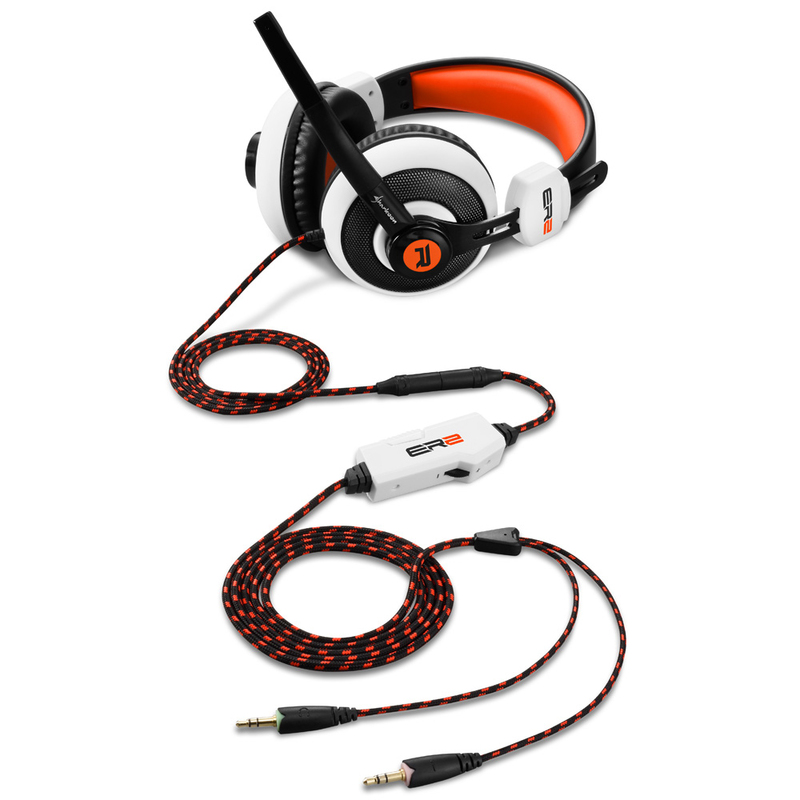 The RUSH ER2 Gaming Stereo Headset offers great sound at an affordable price. The 40 mm driver and the pivoting microphone ensures powerful sound and clear speech transmission. What’s more, the ER2 is suitable for most consoles, notebooks and smartphones with its two connection options and cable integrated volume control. Thanks to the sturdy metal frame, the soft ear pads and the padded headband the ER2 sits on the head securely and comfortably. 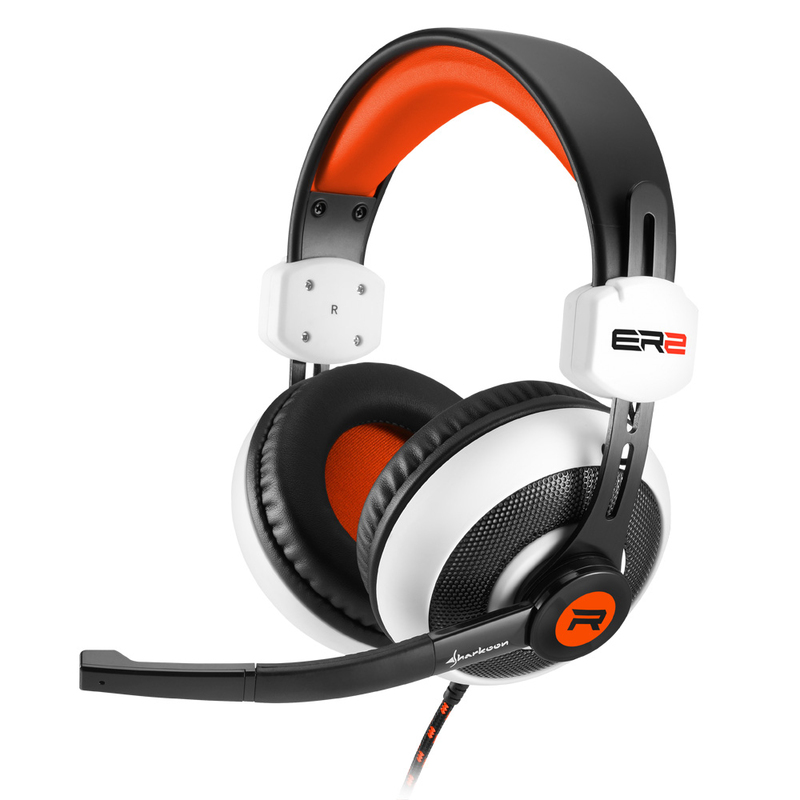 Whether gaming sessions or telephone conferences, the ER2 is still comfortable to wear even after hours. The ER2 connects via a TRRS jack to modern consoles and smartphones. 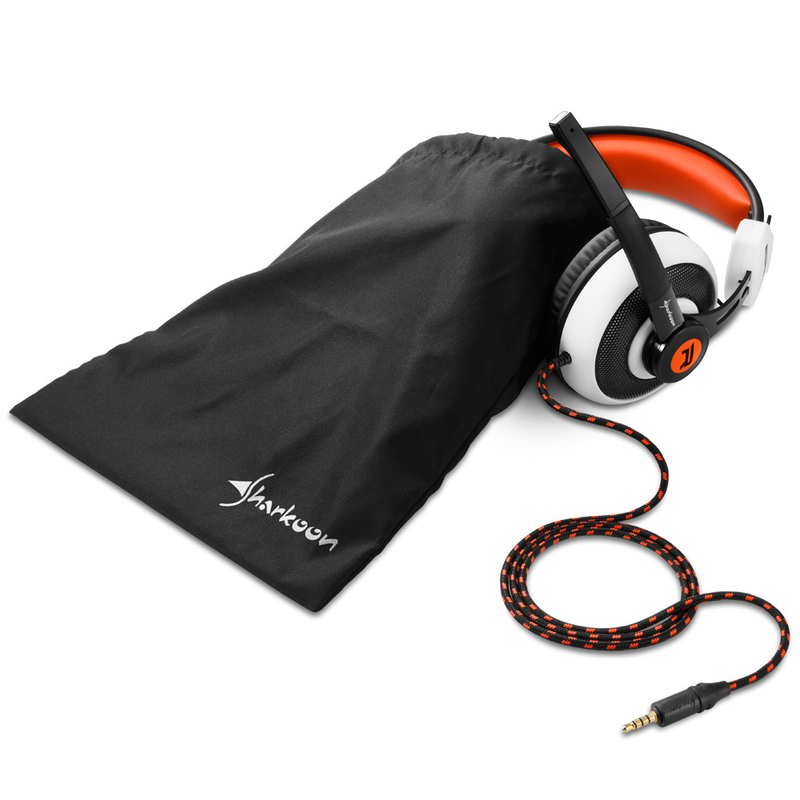 The enclosed extension, outfitted with two 3.5 mm jacks, contains both the volume control and microphone mute, and connects to every PC. The textile-sheathed cable is always only as long as needed. The cable with the TRRS plug is conveniently short at 110 cm, with the extension the total length becomes 250 cm allowing you to sit back a little ways. The RUSH ER2 is available in four colorful variations: Black/Red, Black/Green, Black/Blue and White/Orange.